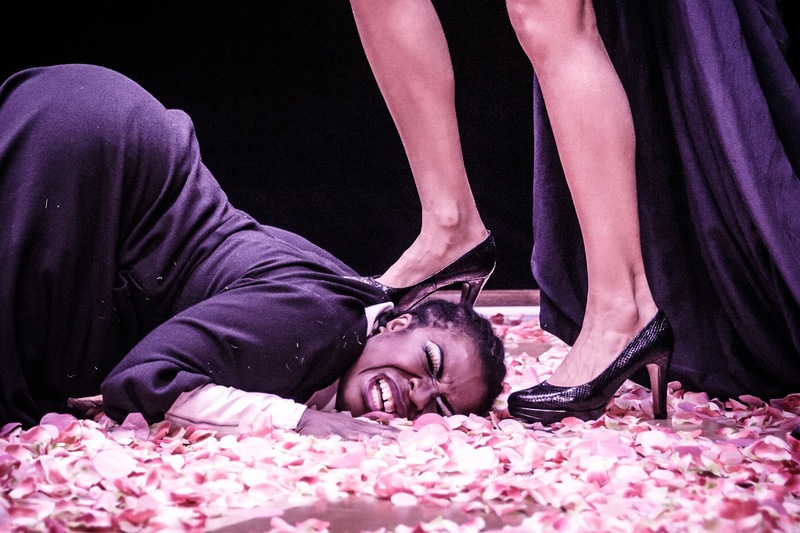 At the Trafalgar Studios Jamie Lloyd's revival of Jean Genet's 1947 The Maids is currently playing. 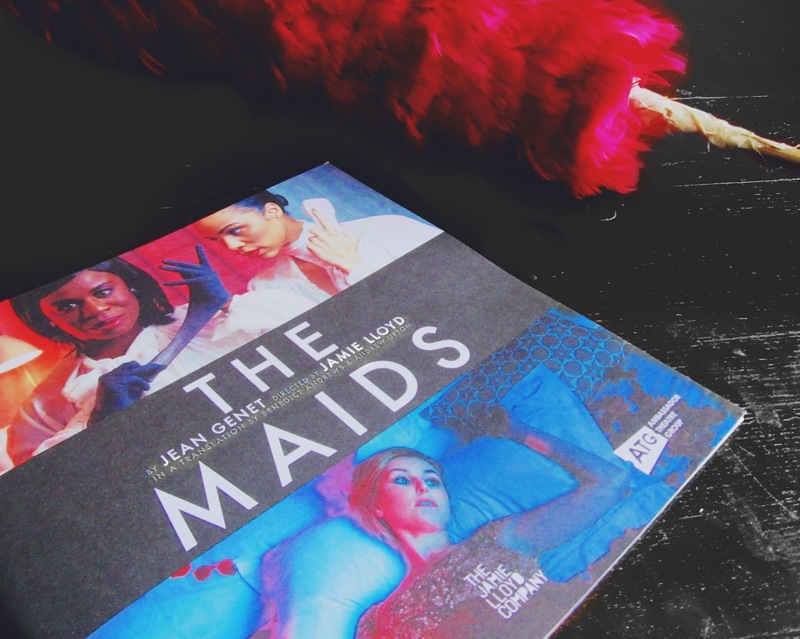 Updated, and with a focus on racial as well as economic subjugation, The Maids is a striking and unsettling play about two maids who plot to murder their wealthy employer. The text itself addresses issues of power, identity, servitude and hatred in a way which feels fresh and relevant today, partly thanks to Benedict Andrews and Andrew Upton's 2013 translation of the script. Laura Carmichael made the most of her single scene, and played the brattish Mistress excellently. Uzo Aduba was excellent as scheming masochistic maid Solange, and spat each of her lines vehemently. But Zawe Ashton gave perhaps the most compelling yet understated performance as Claire, a sultry yet skittish maid who relishes in impersonating her mistress, mimicking her voice and mannerisms, as well as her hair and makeup, before fantasising about her violent murder. However, despite the intriguing concept and gripping performances, the plot seemed to lose momentum in the middle, and the characters motivations were never clarified. Additionally, some of the later monologues served to do little more than add padding to the already overblown and repetitive script, and as such the play built towards an affecting yet rather low key final scene. Lighting design and sound design created a suitably claustrophobic atmosphere, and the set (a four poster bed showered with flowers which the maids sweep away futilely for a large portion of the play) which helped to establish a perturbing if rather overt juxtaposition between the penurious maids and their wealthy, opulent Mistress. However, while the production looked and sounded fantastic, and was acted brilliantly, the production felt overt, and despite the text's violent and masochistic scenes this production of The Maids lacked substance and punch, and therefore despite the unfalteringly excellent performances of all three actresses, it was hard to understand the behaviours of the characters, let alone sympathise with them. In Lloyd's revival of The Maids, the roles were cast perfectly and the set design was simple and yet gorgeously stylised. However, long overblown monologues and odd tonal shifts meant that The Maids sadly lacked the pace needed for a memorable ending. This production will surely polarise audiences, but there can be doubt that The Maids is one of the most stylish, well-acted productions in London right now.